Flaunt your rebel romance in Sherri Hill 52611. This edgy fitted gown pairs delicate lace with flattering stripes of grommets, and lace-up details. The bodice has a plunge illusion neckline, with a sheer, tone-matching modesty panel, and tank straps that lead to the lace-up closure on the back. Lace caresses your curves in the floor-length fitted skirt. 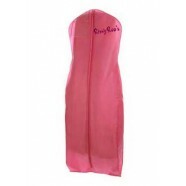 Make unforgettable memories in this gown at your wedding, prom, or pageant.